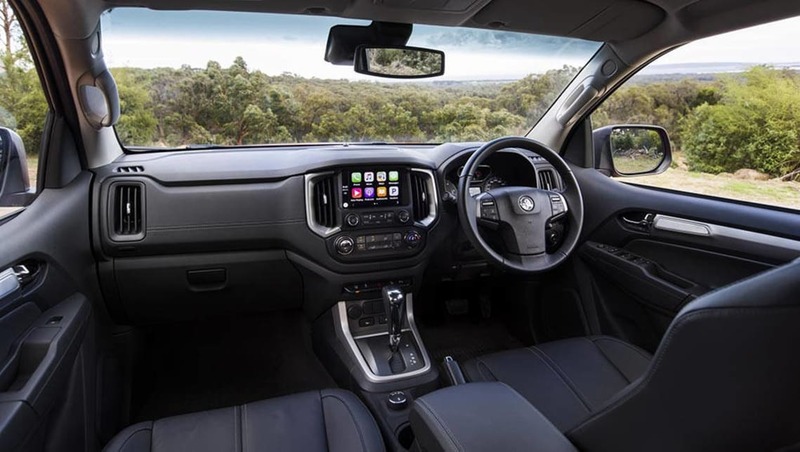 Joshua Dowling road tests and reviews the Holden Colorado with specs, fuel consumption and verdict at its Australian launch. Meet Holden's next hero. The brand's future is riding on the Colorado ute, which will replace the Commodore as its icon — and profit maker — once local manufacturing ends late next year. This will catapult the Colorado to top spot in the Holden line-up, carrying with it the weight of reversing the brand's 22-year sales slump. The superseded Colorado has already given the Commodore a black eye, outselling the local hero in January 2016. Demand for four-door 4WD utes has more than doubled over the past 10 years. 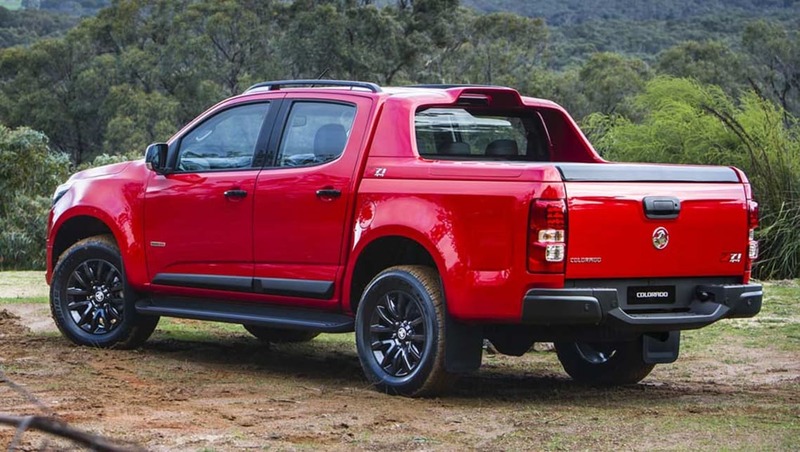 Further proof Holden’s next halo model is a ute: the Ranger has been Ford’s top-selling nameplate since February 2014, and the Toyota HiLux has outsold the Toyota Corolla so far this year. 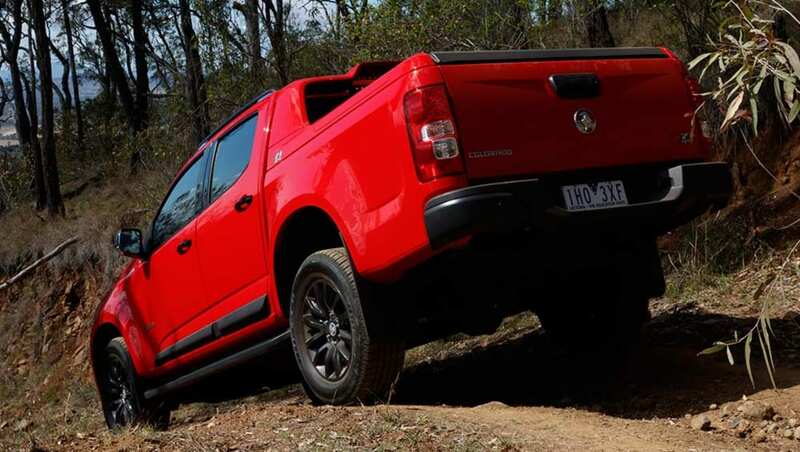 Demand for four-door 4WD utes has more than doubled over the past 10 years. They are the new family cars, designed for work and play. That explains why Holden has thrown everything it possibly can into this Colorado facelift. It’s not just a bold new look at the halfway mark of this generation’s model cycle. The future of Holden is riding on it. By its own admission, Holden had some homework to do. Barely a few months after this generation Colorado went on sale in 2012, Holden executives apologised to dealers for delivering them an underwhelming vehicle. It was one of the victims of General Motors' bankruptcy during the Global Financial Crisis. The Colorado’s introduction was delayed and budgets were slashed in the final stages of development. Which is why Holden took the knife to pricing almost immediately. Its top of the range model limboed at one point to $44,990 drive-away, at least $8000 off the full RRP and $15,000 less than the market leaders. And Holden still could not sell the Colorado in significant numbers. This time around, Holden has spent the money up front -- on vehicle development and technology -- rather than spending it on dealer bonuses to move metal. The theory: if it’s a better pick-up, buyers will pay more. To that end, Holden has loaded the Colorado with more equipment than ever before. Standard fare includes seven airbags, rear view camera, Apple CarPlay (first in class), digital radio, cruise control, digital speed display, remote entry, automatic headlights, LED daytime running lights, auto “up” power windows on all four doors, and rear air vents on crew cab models. The automatic transmission has less shudder. The Colorado LTZ -- the rival to the HiLux SR5 and Ranger XLT, and the most popular variant -- gains embedded satellite navigation (so you’re not compelled to use phone data), lane wander warning (although not lane-keeping, as per the Ford Ranger) and forward collision warning (although not automatic braking). The LTZ also gains front and rear parking sensors, electric adjustment for the driver seat, 18-inch rims, chrome sports bar, heated and power folding door mirrors, remote start via the keyfob (auto only), and rain sensing wipers. Holden even put carpet in the door pockets and made them larger to handle big bottles of water, a consolation for the optional cup holders that poke out of the dash and are too flimsy to hold anything. What’s missing? Dual zone air-conditioning isn’t available on any model and there’s only one USB port for the whole cabin (although there are three 12V sockets). Unlike the HiLux SR5 and Ranger XLT, there’s no household power point to charge a lap top computer or the like. A tow bar and tray liner are not standard on the Colorado LTZ even though the Ranger XLT has them ex-factory, and the HiLux SR5 is expected to get a towbar as standard as part of a minor update next month. 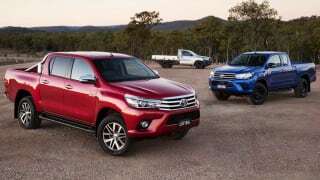 The steering wheel is still only height adjustable (as with the Ford Ranger, Mazda BT-50 and Isuzu D-Max) but the Mitsubishi Triton, Toyota HiLux and Volkswagen Amarok have height and reach adjustment. The changes under the skin are arguably more significant than the extra mod-cons. Although the Colorado is made in Thailand and its development was based in Brazil, Holden engineers did more than 100,000km of testing on Australian roads to come up with unique settings for the suspension, automatic transmission, and the new electronic power steering (rather than hydraulic). They also developed new tyre compounds and tread patterns to improve comfort, cornering and braking -- especially in the wet. There is more sound deadening between the engine and the driver. The front side windows are now 4mm thick rather than 3mm, to dull road noise. New rubber mounts for the engine, transmission and body are designed to improve refinement. Manual models have a new final drive ratio so you can more easily get moving from rest while towing a heavy trailer (previously it was almost impossible not to stall it, or melt the clutch). The automatic transmission has less shudder (thanks to a new internal "energy absorbing damper" usually only found in German luxury cars) and holds onto the engine's torque better, rather than trying to slur a gear change in pursuit of economy. Unusually, there was not a significant change in ride comfort, laden or otherwise. That said, fuel consumption is also down slightly; we saw 8.5L/100km with mostly open road driving over 200km, unladen. Based on a preview drive on pot-holed mountain roads and coarse chip rural roads, Holden has closed the gap to the class leaders. We tested five models, including three of the same variant (crew cab LTZ) with four adults on board combined first with an empty tray, then with 200kg in the back, and later with 500kg. Unusually, there was not a significant change in the comfort of the suspension across three vastly different weights. The same cannot be said of most other utes (although the Ranger does well to disguise a load). The only clue to the Colorado's cargo was slightly lighter steering and needing a little longer to pull up with the extra weight. 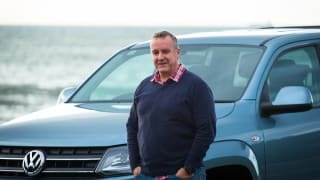 The steering feel and general comfort when the Colorado was unladen -- the condition in which most are driven -- has gone from bottom of the pack to within coo-ee of the benchmark Volkswagen Amarok and Ford Ranger XLT. 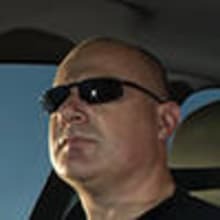 This long overdue update has created a better truck with more equipment and, on most models, a sharper drive-away price. 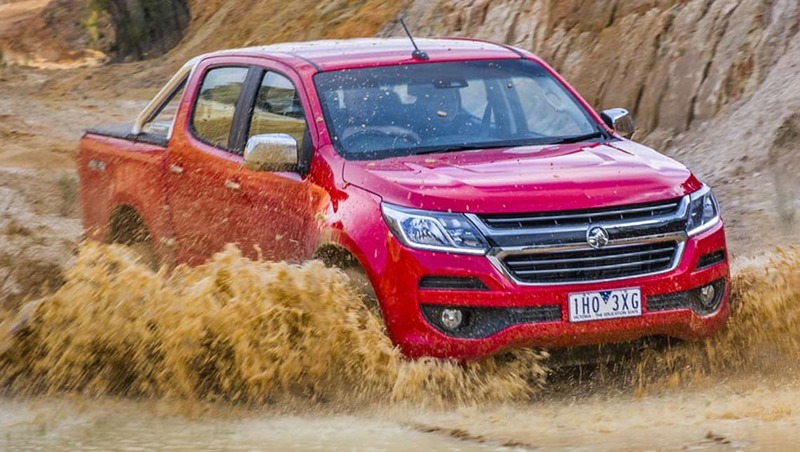 Holden has effectively eliminated the reasons not to buy a Colorado. 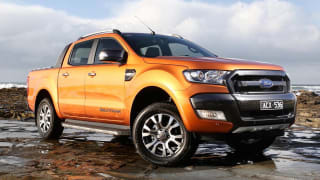 The Toyota HiLux and Ford Ranger won't have the ute market to themselves much longer. Holden has jacked up the price of the base model Colorado LS crew cab 4WD from $37,990 drive away from last month to $44,990 plus on roads. Holden says fleets are the main buyers and command big discounts. So if you're a private buyer in the budget price range your best bet is the $36,990 drive-away Mitsubishi Triton GLX+. You can't tint the windows in the new Holden Colorado because of a quirk in its electronics. To appeal to global markets and give the new model a luxury feel, the windows automatically lower by about 5cm as soon as the door opens -- so that when the door is slammed shut it does not make a deafening thud inside the cabin. But this feature cannot be disabled, which means window tinters can't apply the film without it being spoiled by the automatic opening. Customarily it takes three days for window tinting to cure. 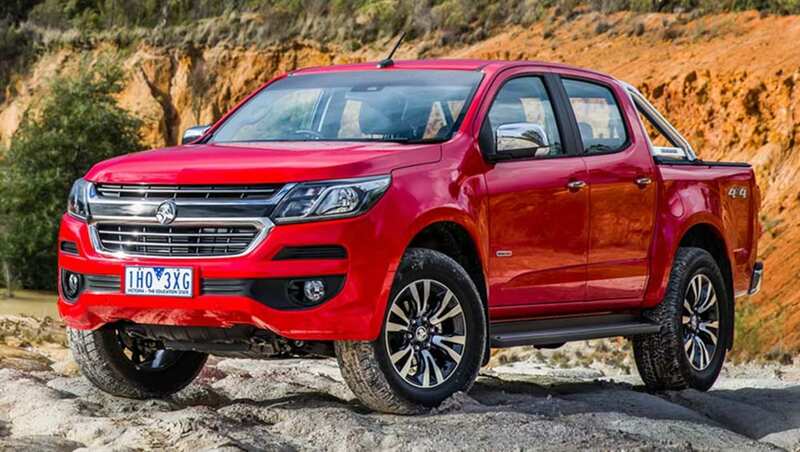 Does the Colorado bring enough to the table to rival the Hilux or Ranger? Tell us your opinion in the comments below. Click here to see more Holden Colorado pricing and spec info. Marcus Craft road tests and reviews the VW Amarok Atacama with specs, fuel consumption and verdict. Joshua Dowling road tests and reviews the updated Frod Ranger ute, with specs, fuel consumption and verdict at its Australian launch.